House, 4 Bedrooms, 2.5 Baths, sleeps 12. Eagle's Nest is light and airy with stunning views of the valley and mountains. The slate floors and tall ceilings will welcome you. It's easy to forget your cares, lean over the railing of the five decks and watch the world go by in Montana's prettiest valley. If you are looking for privacy our 156 acres are bordered on three sides state land. You can stroll through dry creek beds up ravines and sometimes see elk and deer. .We also have a single private RV site on the property with water, electric and septic hookups. Renter is required to sign a rental agreement. We had a blast in building our house - 24 years ago. Our goal is to make you happy. With three sides state land the property allows no end of privacy. If you are looking for openness and spaciousness and a feeling of freedom, this is it. You'll find no better views of the valley than Eagle's Nest. It has a 360 degree panoramic view. One of our guests said, 'Your house is like a cruise ship that landed atop a mountain.' At night I you can see the lights of the entire valley, from Hamilton in the south, to Victor in the west, to Stevensville and Florence in the north. Basement has a half bath. 1st floor has a half bath. 2nd floor has a full bath, all artfully tiled. Main suite has a full bath - marble jet tub with separate shower. In loft area, master bedroom, north west bedroom, and family/kitchen/living/dining area. Grill on stove top - good for pancakes and tortillas. Coffee grinder. We like coffee too. A variety of spices are stocked, as well as some flour, sugar and salt. Some board and card games provided. 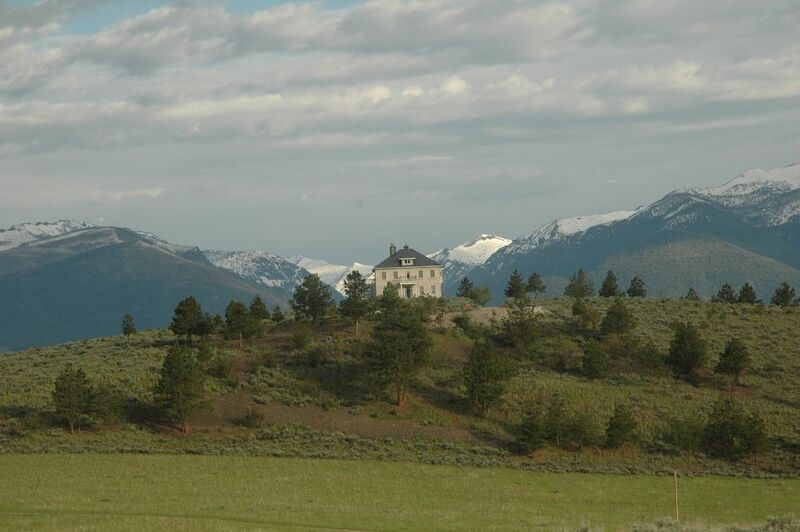 Eagle's Nest is atop a ridge and our panoramic view of the Sapphire, and Bitterroot Mountains is unmatched. We are a 45 minute drive to Missoula International Airport. Our 157 acres is very private, and snuggled into a 640 acres of state land. Lay back and watch the world go by.